THE life of a young Co Down boy who suffered from a rare genetic disorder is to be celebrated with a GAA blitz and fundraiser in his memory. 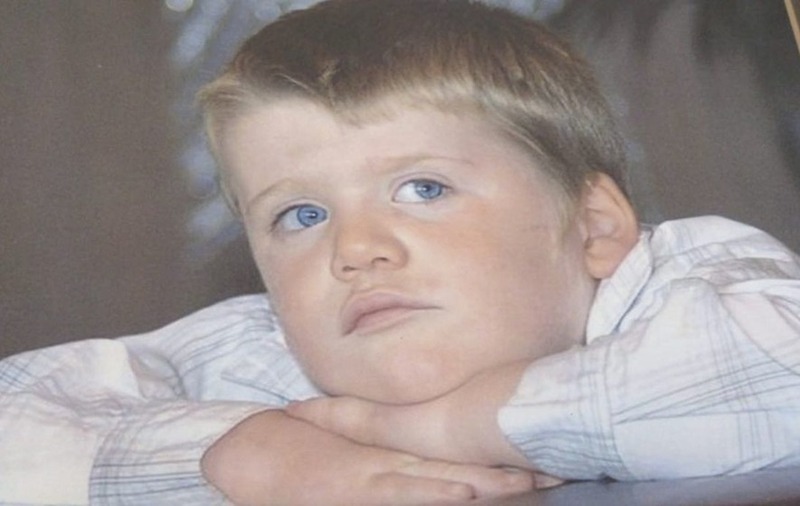 Oisin Blaney was diagnosed with Smith Magennis Syndrome at the age of two and passed away suddenly seven years later. His father Peter said nine years on, they are "finally able to mark his passing" and have organised a special hurling event to remember him. 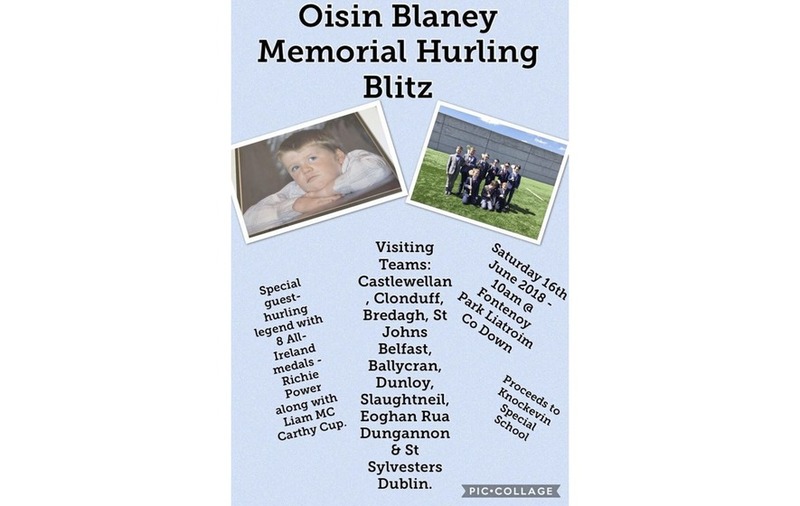 The Oisin Blaney Memorial Hurling Blitz will take place on June 16 with 160 players from across Ulster and teams from Dublin coming together at Liatroim Fontenoys GAC, near Castlewellan. Mr Blaney, a brother of Down football and hurling great Greg, said they hope the event will allow them to celebrate Oisin's life. 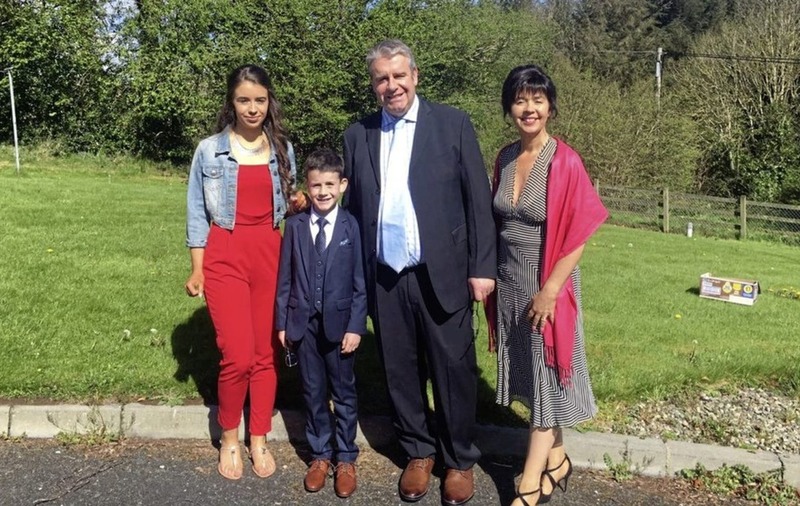 "When my wee son Oisin was born, all was grand, but when he was around the age of two we realised he wasn't meeting his milestones," he said. "It was then we found out he had a rare genetic disorder called Smith Magennis Syndrome. He didn't walk until he was five and he never talked, but communicated well through the medium of Makaton sign language. "We were living in Carryduff at the time, but we moved to Liatroim in August 2004 for more room to ease his anxieties. "Despite all this, he was a happy child and his family and everyone that knew him loved him. "When he was nine, he started taking seizures - we just coped every day as best we could. "On June 17 2009, I was going to Galway with the Liatroim Under 14 hurlers and my wife Catherine was going to a wedding that day. I'd said to her Oisin must be having a lie-in as he wasn't up that morning. "I went into his room and he was dead and he had been dead for a few hours - there was nothing we could do." Mr Blaney said everyone who knew Oisin was heartbroken. "We just weren't prepared for anything like to happen, it was an awful time. "We were told after that he had died from sudden unexplained death and epilepsy. While he had his problems, we never expected him to have his life cut so short. "He was a beautiful boy, a happy wee fella who was such a joy to be around." The GAA blitz will honour Oisin as well as raise funds for Knockevin Special School, Downpatrick where he was educated for five years. "We feel we're finally able to mark his passing. It has been a tough few years, but we're now in a place where we want to do something in Oisin's name," Mr Blaney said. "We have organised the memorial blitz in his honour and decided on June 16, one day before his ninth anniversary. "It will be a 16-team tournament with teams from all over Down and Ulster and a club from Dublin taking three teams up. Richie Power of Kilkenny will be the special guest. "It will raise funds for Knockevin where Oisin received physio, occupational and speech therapy. We want to give back to Knockevin to help other children at a time of educational cutbacks. "We feel it's time to honour him and recognise the nine years we had with him."